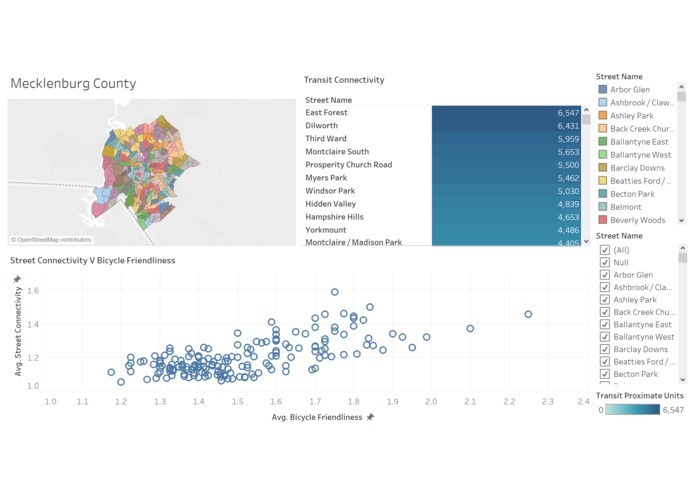 Goal: To improve quality of life in Mecklenburg county by understanding certain factors from the dataset that strongly supports the claim. Also, methods to improve the NPAs with lower quality and prediction for 2019. Observation: The average life expectancy of Mecklenburg county is around 65-70 years. To improve the quality of life, we are concentrating on the areas (NPA’s) of the Mecklenburg county such as Farm Pond, Hidden Valley, Oak Forest, Briarcreek Woodland, East Forest, Harris Houston, Mont Clair South & Starmount Forest that have the least life expectancy. To improve the quality of life, these areas should be given extra care. Prediction: We predicted that life expectancy of these areas is set to decrease in upcoming years such as 2019, 2020 based on the given data though it broke the declining trend in 2018. 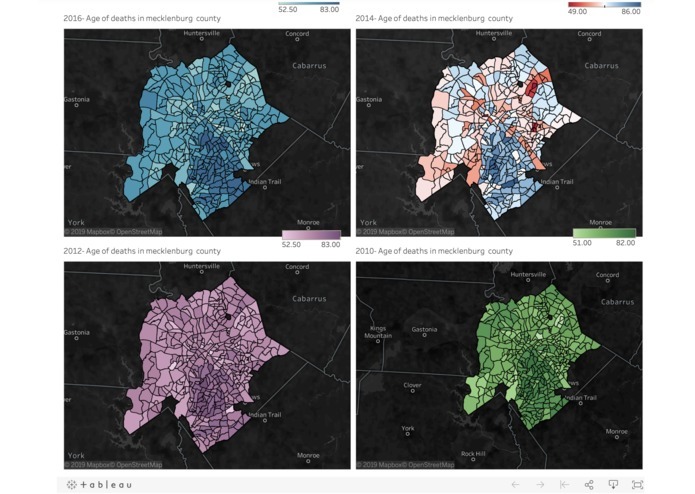 These areas have seen a rapid decline of life expectancy in recent years. Prediction was done with linear regression and elastic net regression, and the claims were supported by 90% accuracy and achieved Root Mean Squared Error (RMSE) of 6.2 (lower the better). Factors affecting life expectancy: We analyzed the dataset and found the following major factors that directly affects the life expectancy of above areas. The life expectancy is directly related to Street connectivity. Lesser the street connectivity, worse the life expectancy i.e., the streets with poor connections such as intersections, roadways & bike pathways directly relate to poor life expectancy. Lesser street connectivity leads to lesser bicycle friendliness. If there are no dedicated bike pathways, people tend to not use bikes. When people don’t use bikes, they tend to live in house units that are closer to the transit stop (within ½ a mile). This leads to high increase in transit proximity. How life expectancy can be improved? The fundamental thing that can be done is to increase street connectivity of the least life expectancy areas. Upon doing this, the people living in these areas will have easy access to health care system via better roadways/pathways. Increasing street connectivity automatically increases bicycle friendliness. Riding bicycle will have greater benefits to one’s health and the environment (reduces ozone pollutant, one of the major causes of death in Mecklenburg county). When people have good street connectivity and bicycle friendliness, then they don’t need to stay in housing units that is near to transit stop. This in turn expands the city and creates new neighborhoods which may create new jobs. As per our data analysis, life expectancy can be improved by strictly following above things. Performed data cleaning and data analysis. Identified relationships between various factors. Performed causality. Created visualizations for better understanding. understanding the data and performing data analysis. Developed the machine learning model and parameter tuning to obtain the most accurate results in predicting values and RMSE. I have helped in building prediction models & visualization. Had lot of learning & fun implementing with my teammates!